Width and wheelbase have been optimized to deliver exceptional performance characteristics on various types of circuits and surfaces. Weight distribution maintains effective steering control with firm front grip, whether you're accelerating or not. Cornering speed is further increased through optimization of the Ackerman ratio. 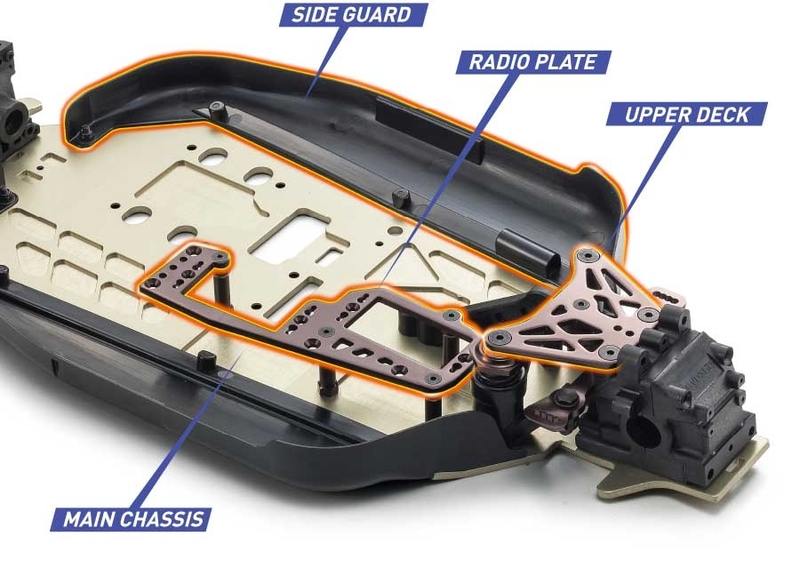 A new reversible steering plate enables eight different settings to match the specific characteristics of the racing surface your personal preferences as a racer. The optimized Ackerman in the MP10 delivers an increase in lock-to-lock steering travel. The design of the new reinforced tie rod ends doesn’t interfere with the inside of the tire and wheel when steering is at maximum angle. Incorporates new technologies for increasing reliability and maintainance. 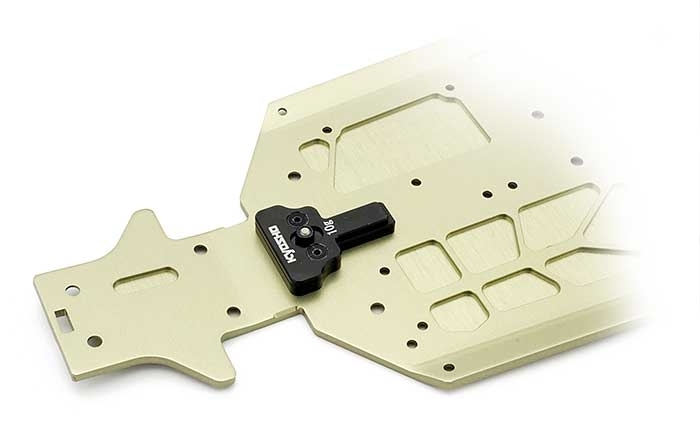 At first glance the radio plate looks similar to the MP9 TKI4, but the MP10 design features a revised servo position and increased strength with 3.0mm thickness, increased from 2.5mm. 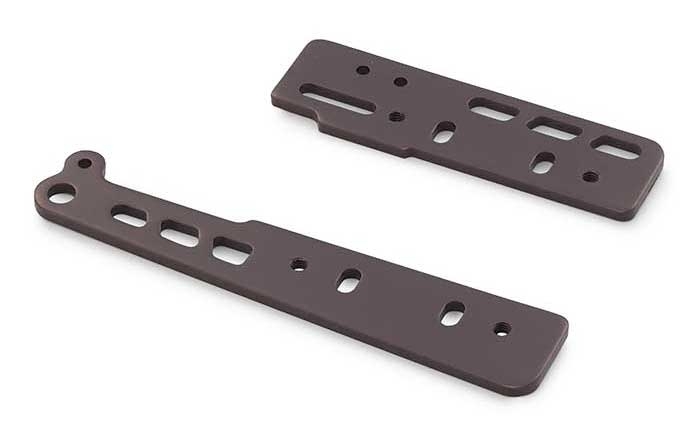 Newly designed upper plate delivers improved front traction and steering performance. 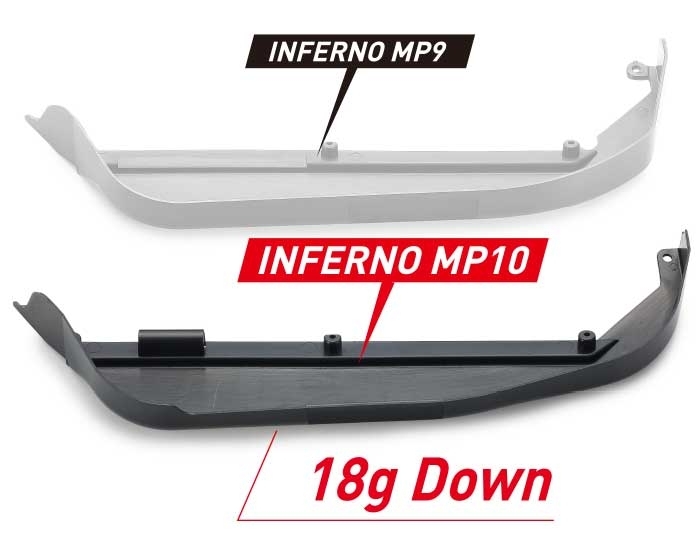 By reducing thickness and height, the newly designed side guard is 18g lighter and looks sharp as it narrows from the center of the chassis towards the rear. 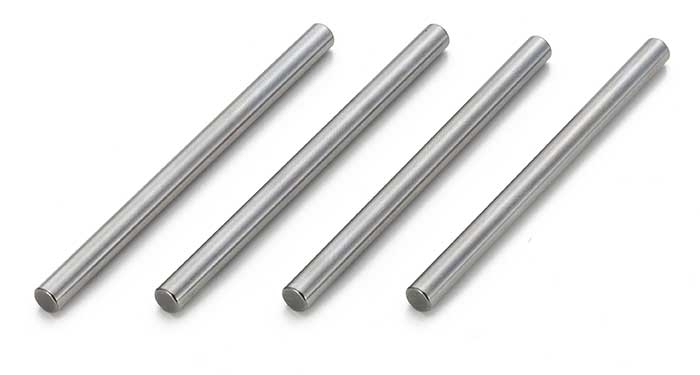 The CNC machined 3mm thick 7075 aluminum main chassis is hard anodized (true hard anodizing) to produce a much harder surface for high strength and durability. Not only does the new 2017S grade engine mount increase rigidity, it improves pitching characteristics and reduces flex of the chassis through jumps. 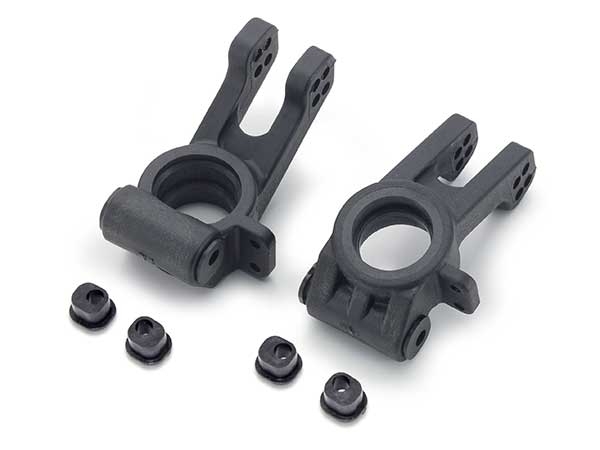 Balance weights specially designed to securely screw on to the front and rear of the chassis.Combine for up to 30 grams.Picture shown are prototype – appearance of production parts may vary. 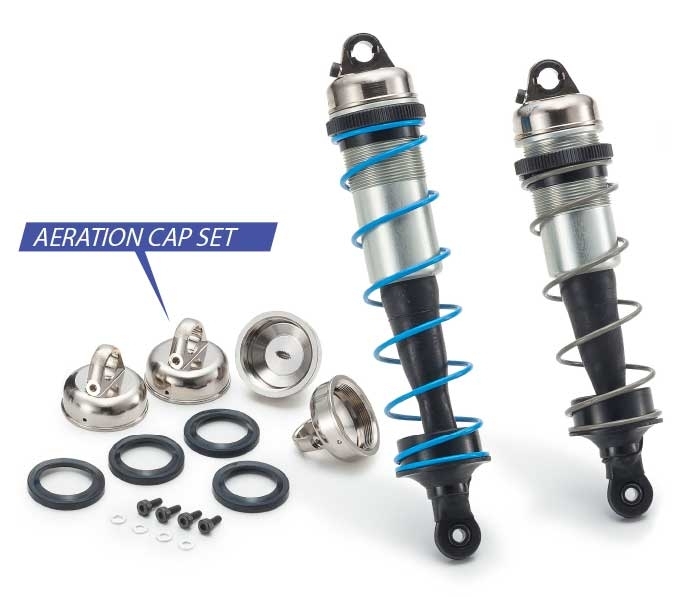 Suspension geometry can be quickly and easily adjusted with the aluminum suspension holders and offset suspension bushings on front and rear suspension. 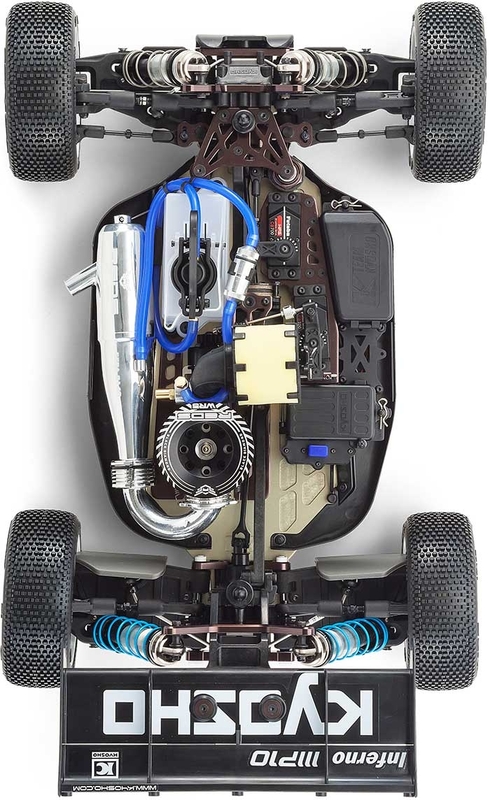 In addition, the wheelbase can be adjusted to long or short to suit course characteristics and your driving style. Increased durability and reliability is achieved with larger φ4.5mm diameter inner hinge pins compared to the φ4.0mm hinge pins on the MP9 TKI4. 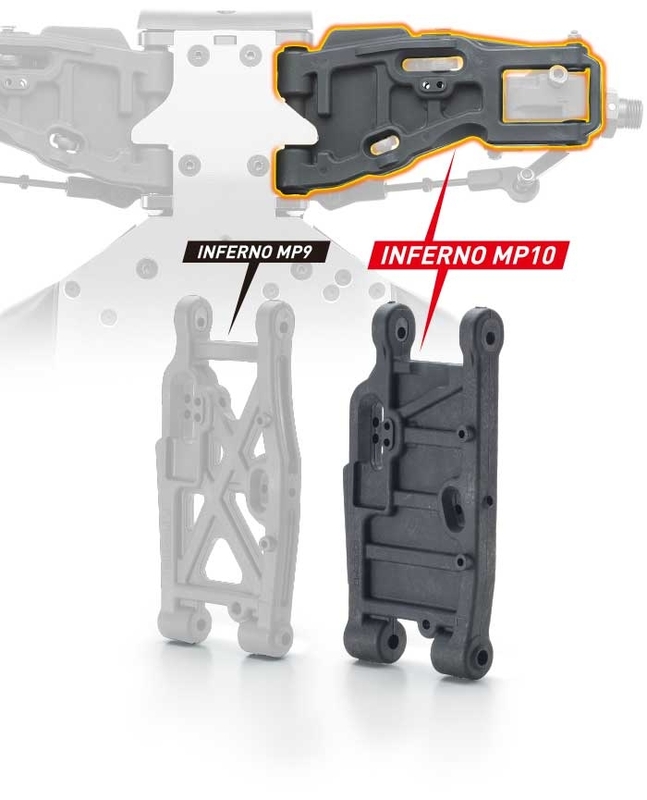 The rear suspension holder of the MP10 is 5mm longer than the MP9 TKI4. 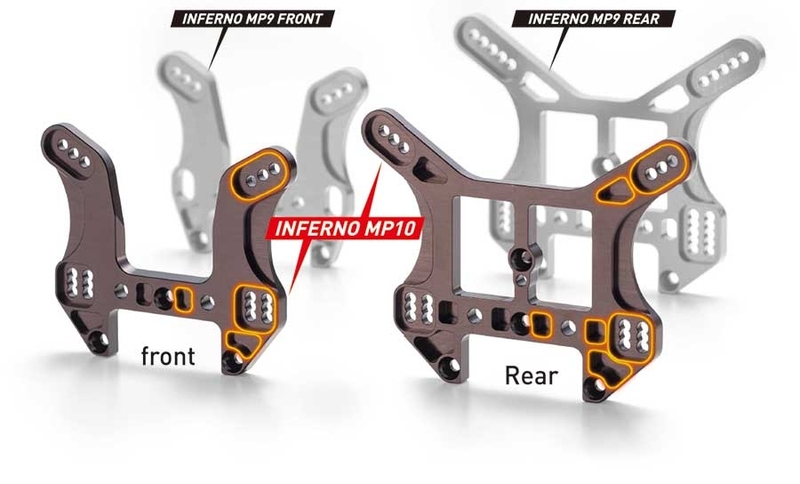 Additionally, the range of rear toe angle in the MP9 TKI4 could be adjusted to 2.0, 2.5 and 3.0 degrees, where the MP10 loses the rarely used 2-degree setting and increases the maximum toe angle with 2.5, 3.0 and 3.5-degree settings. 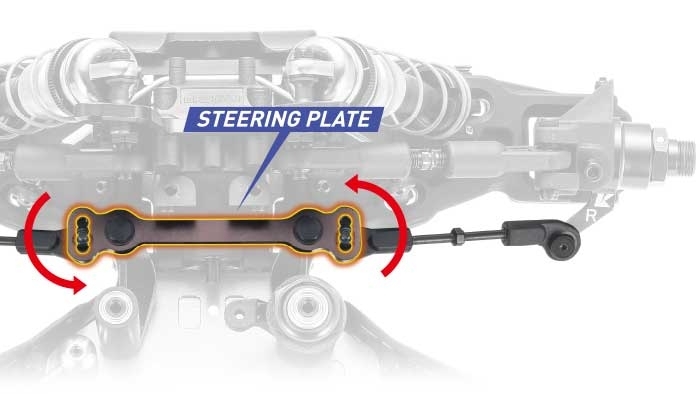 Front and rear lower suspension arms have been significantly reinforced for greater strength and also designed so they don’t catch dirt for easier cleaning and maintenance. The new arms are also substantially thicker around the large diameter φ4.5mm hinge pins to make the arms even more resilient. 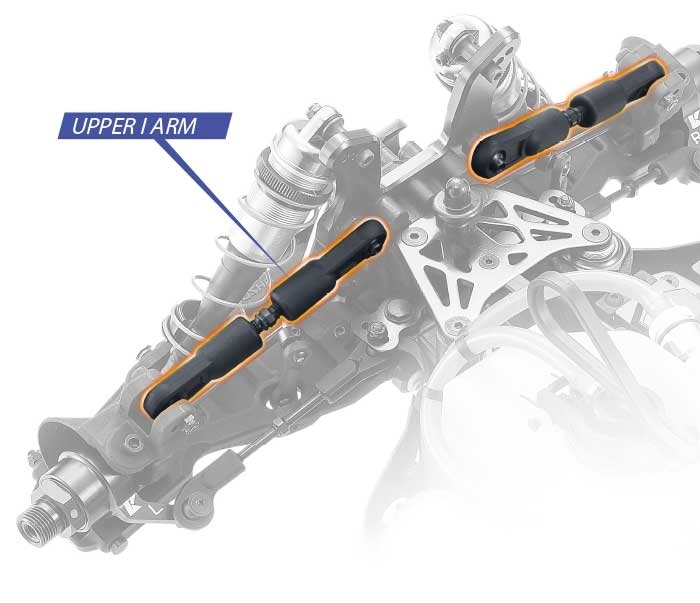 New design moves the shock mounting position of the lower arm further outwards (on the tire side) than the MP9 TKI4, so lower viscosity silicone oils with minimal variation in performance from heat and fatigue, can be used. 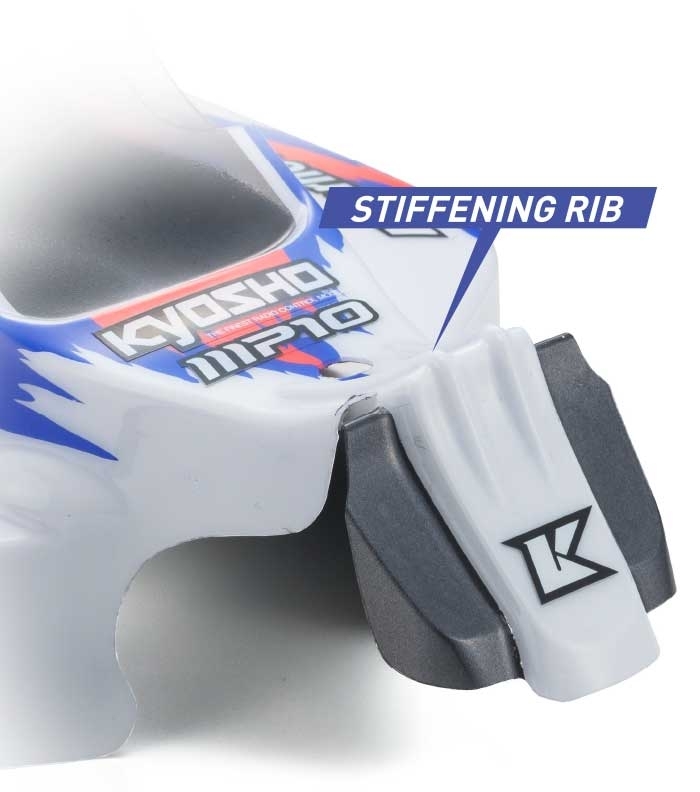 This produces more precise damping over the long haul for improved performance over the wide range of bumps and jumps in competitive off-road racing. Oil shocks from the MP9 TKI4 10th Anniversary Special Edition deliver exceptional performance across a wide variety of course types and use standard φ1.3mm x 8 hole pistons with aeration caps and hard-plated serrated big shock cases that reduce contamination of the silicon oil to deliver smooth movement over extended periods for increased grip feel and forward drive. 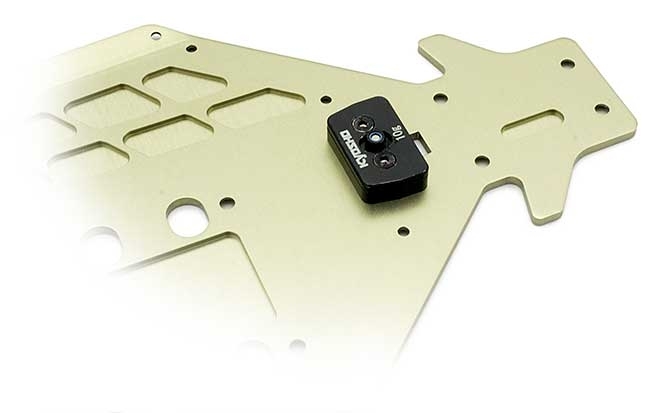 I-arm design on the front enables easy adjustment of suspension geometry and improves durability. Yuichi Kanai says this design improves control of the machine and makes the driving feel much more consistent and easier. 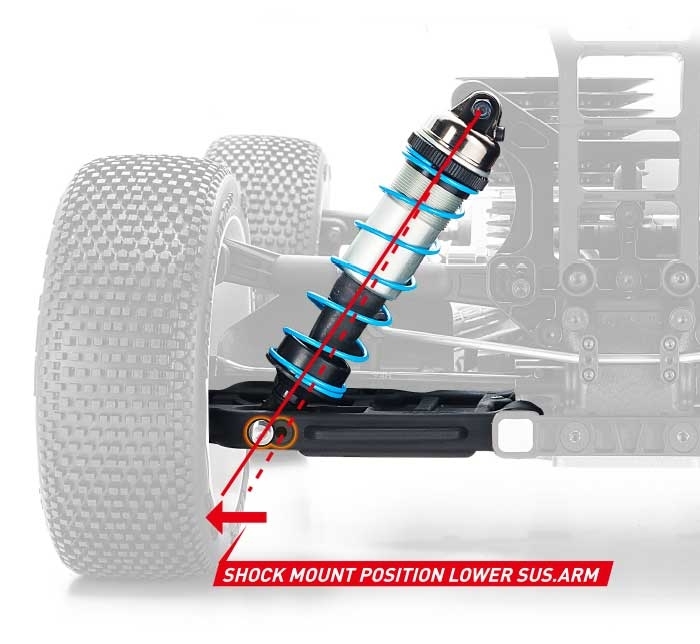 Based on the suspension geometry of the MP9 TKI4 shock stay, the number of shock and upper arm mounting holes has been optimized. 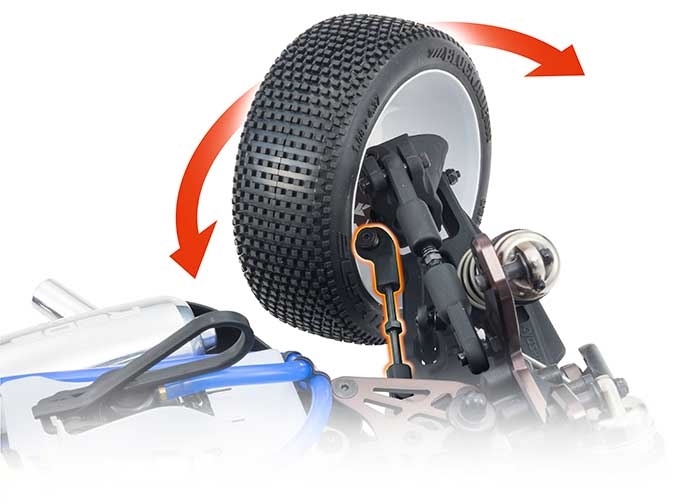 In addition, the reinforced rear shock stay delivers increased strength and prevents dirt catching. 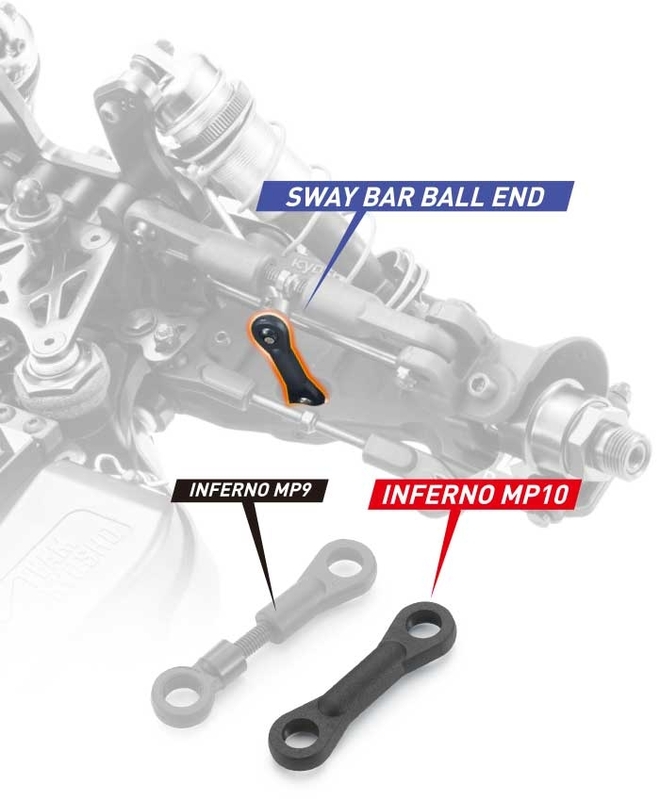 Previous versions of the World Champion Inferno Series featured adjustable links on both ends of the sway bar, but they were never adjusted after careful assembly. 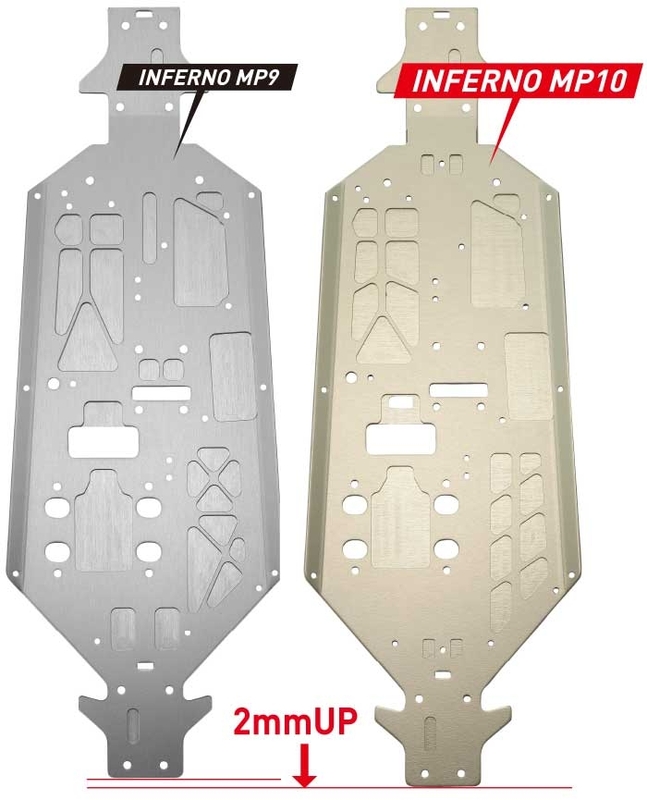 The new MP10 features fixed-length one-piece links that are easier to install and lighter. Yuichi Kanai focused on every detail as evidenced by hist statement"I would like to make it easier to maintain the MP10, even by reducing just one screw." 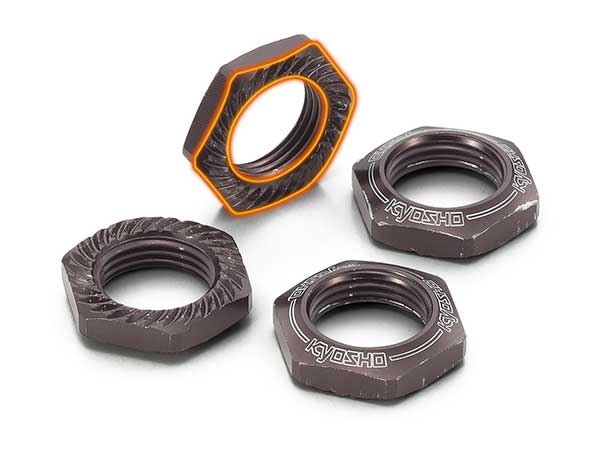 Serrated wheel nuts are included as standard. High strength and precision construction of molded rear hub delivers improved controllability and better handling characteristics than the aluminum hubs. 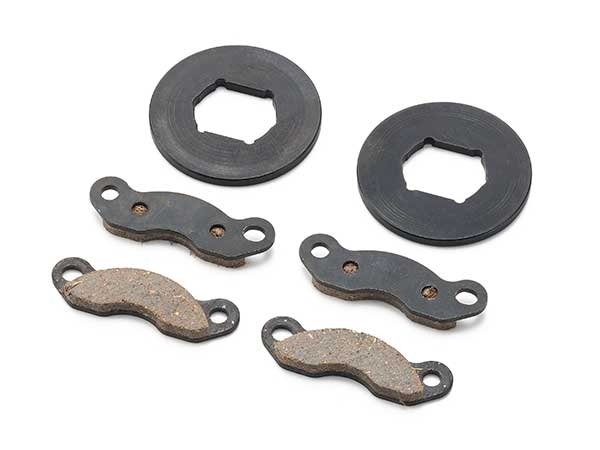 Specially selected brake pad material is secured with epoxy and indexed to the backing plates with two "dowel pins," similar to full-size cars. 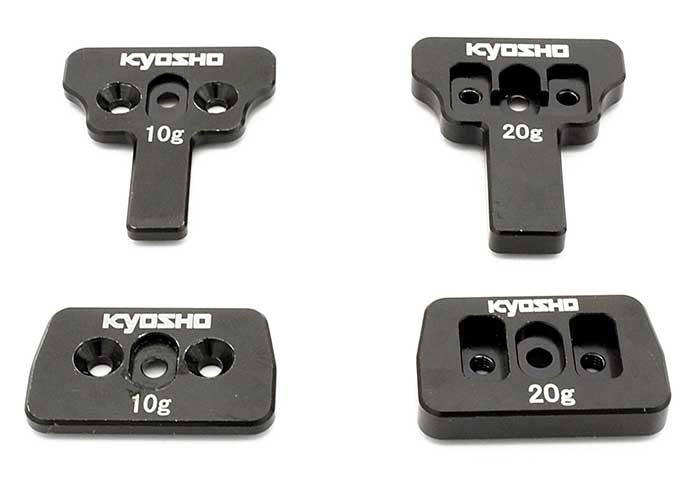 These are the best brakes available according to Kyosho drivers and even those of other teams who also use them. They deliver exceptional braking power, durability and consistency, especially in the heat of the most grueling endurance racing. Newly designed low-profile body generates exceptional downforce. 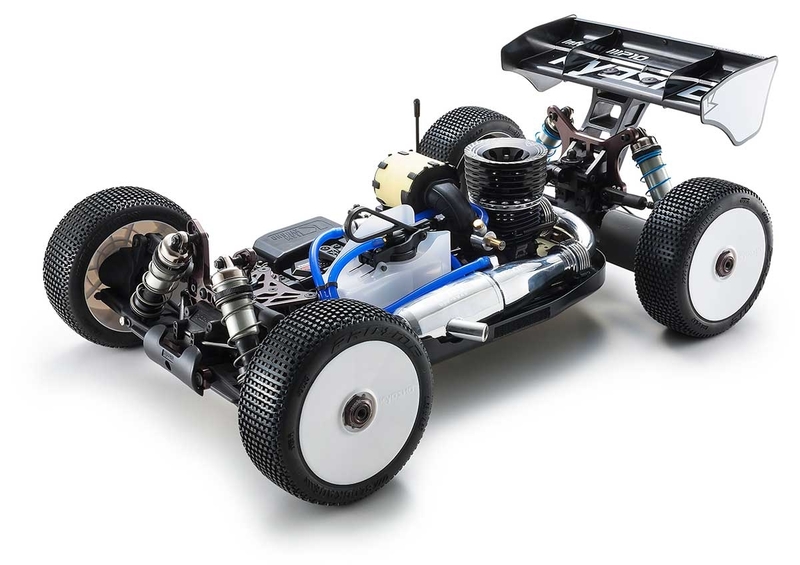 Yuichi Kanai says the newly designed low-profile, streamlined body produces excellent running stability and “hugs the track tightly.” Relentless testing and refinement of prototypes has resulted in a body design that maintains excellent balance. The body design features a steep angle on the nose section to increase steering response on all track conditions. The addition of ribs minimizes damage from turnovers without impacting style and performance. The front section features a revised positioning of the cabin with the front window angle from the MP9 TKI4 to deliver superior turning performance and a more stable posture in the air over the larger jumps. Airflow is channeled for aerodynamic effect with lines running from a narrowed front to the more narrow side pods of the MP10.